Widjaja is one of Indonesia's high tech pioneers, early investor and ecosystem builder with a career spans over 15 years in corporate transformation, venture capital, and digital startups. 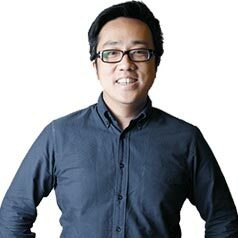 In his current role at MDI Ventures (MDI Ventures, a corporate venture arm backed by Telkom Indonesia)., he is responsible for leading various digital transformation initiatives of Telkom Indonesia ahead of the curve on high impact emerging technologies and business opportunities such as artificial intelligence, IoT, unified communications and network, fintech, blockchain, and other enterprise technologies. Further, collaborating closely with internal leaders, startups, industry subject matter experts, and other non-telco institutions (banking and other financials), he produces innovations to provide transformational initiatives across different sectors and industries. Prior to MDI Ventures, he launched Systec Group Ventures, one of the first Indonesia’s venture funds dedicated for high tech startups from 2009 to 2013.